Fans of Australian post-punk disciples The Church haven’t lacked for the band’s moody, shimmering soundscapes. Formed in 1980, the group has remained staggeringly prolific, releasing an album almost annually in the early aughts before adopting more measured release schedule. On October 6th, the group will release its 25th LP, Man Woman Life Death Infinity, and has been touring throughout the United States in support. Last week, the live quintet (featuring former Remy Zero player Jeffrey Cain) stopped by the Neptune Theatre in Seattle. Photographer Autumn Andel documented their time, including some fan meet-and-greet and behind-the-scenes catharsis, which you can check out in the gallery above. 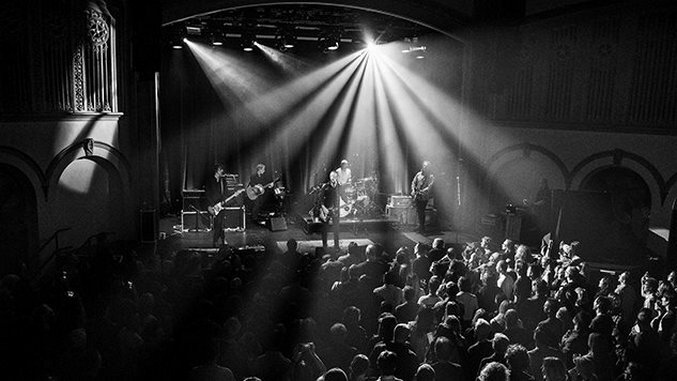 The Church plays Music Box in San Diego tomorrow.